I have a liking to the colorful characters who scrooge Batman and see quite a few can be dismissed or not given proper care or continued care. What villains in the deep depths of Batman' Rogues Gallery do you appreciate? Of all of the well-known villains I would say Mr. Freeze. I love the concept and his origin given by Paul Dini. This character owes a lot to television as he was a one-shot named Mr. Zero who was cured at the end of his first story. However, William Dozier must have picked up this comic when looking for samples and he appeared in Batman'66 three times. 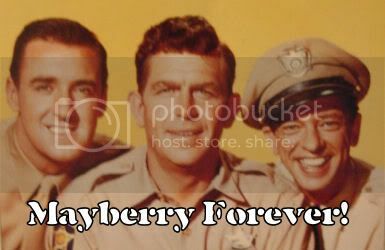 Watching his episode which he kidnaps Ms. Iceland in attempt to make her Mrs. Fries does not feel like the character due to later developments not to mention a moll he had feelings for that used him in a 1979 story. Then twenty-six years later his three Batman: TAS episodes solidified him as a first string villain. The problem is he had a downturn in his story-line. It could have ended with Subzero and given a villain what looked to be a happy ending. However, he literally fell apart and his wife remarried with him declared dead. The comics incorporated the origin and shattered Nora only to make her a villain who spites Victor, Lazara. Mr. Freeze needs to find a way to maintain his Batman: TAS origin yet have more than a limited story-line. Further use has proven to derail the character's arc. He needs either a happy ending or work needs to be done to allow him to continue while incorporating the animated series given origin. So far no dice. Another character I enjoy reading in The Spook, a criminally underrated threat that had early success and well done stories between 1973 to 1980. 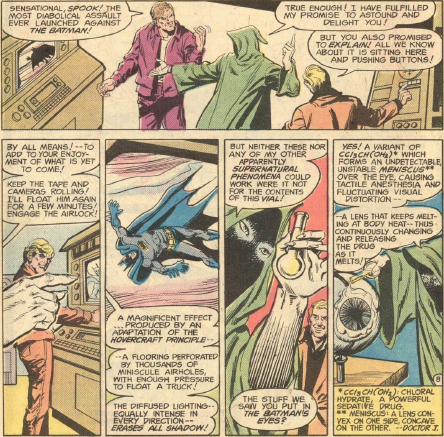 Afterwards he appeared in the first of two villain gathers, Detective Comics#526 (1983). He made Batman think himself to be dead among other darker ploys villains have pulled. Val Kaliban had done enough to be put on death row, but his escape artist mastery allowed him to avoid the sentence. 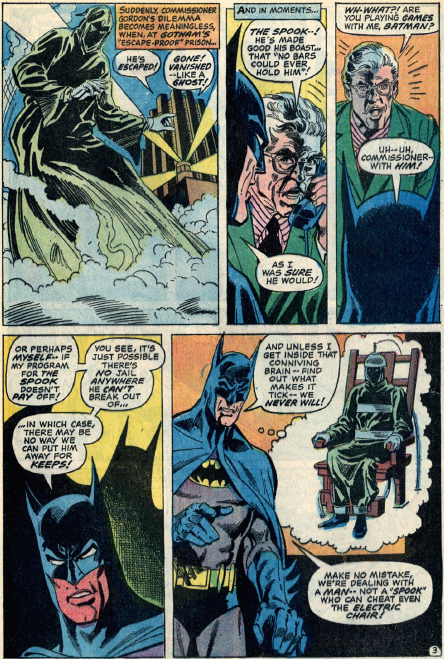 How many of Batman's rogues were a threat enough for death row? There is also the problem of the two times he was dusted off (late 2003) as unable to adapt to life in Gotham of today and used as a sacrificial lamb to the debuting Damian Wayne which he is unceremoniously beheaded by the child after holding up city hall. This character needs further use and respect. A lot of directions can be taken with him becoming a true spook or true to his skill set escape the fate and getting revenge. He did get a cameo in the Scooby Doo team up title alongside a Bamtan '66 villain, False Face since, but that is not nearly what the villain needs. Third and finally, Boss Rupert Thorne. Batman's rogues really lack a pure mafia villain. Batman's tend to crossover to mafia, but are primarily costumed super villains. The likes of Penguin, Two Face, Ventriolquist, even Killer Croc early on was, are underworld factions, but not true mob. Black Mask and maybe Ventriloquist are the only mafia characters that interact with the super-kind. Spider-Man's rogues with Kingpin, Silvermane,Hammerhead, Tombstone, and The Owl are primarily mafia characters who interact with the super-kind. Thorne is a creation of the Englehart run, but his reign was short-lived and only had two arcs in '77 and '83,but Rupert Thorne gave the role of The Kingpin that he would take on in Spider-Man:TAS when Thorne controlled most of crime and city council in Batman:TAS. He has so much potential to scrooge Batman politically long-term and have a hold on Gotham to rival The Penguin,but never got time to shine. Aside from that Dr. Phosphorous went after he him yet again years later in 2006 and he was in the debut scene of The Batman as a generic mafia character. This guy needs the creators attention! Any thoughts on my choices or do you have your own favorites who are overlooked or under utilized? Love Mr.Freese in BTAS and the movie Sub-Zero I am unfamiliar with him in the comics, but he had a really awesome episode on Batman Beyond. Not familiar with Mr. Spook so I really don't have much to say about him. Rupert Thorne is definitely a favorite villain of mine from BTAS bc he and the mafia aspect kept the show grounded. As for a Main Rogue I would like to see more of..... I would have to go with Scarecrow. I thought he was ok in BTAS, but in the Arkham Asylum games he was amazing and would love to see more of that Scarecrow. I kinda wish I saw the Court of Owls go after the Joker. Riddler is well-known, but I think he's pretty underrated. What are your opinions on Zero Year and The War of Jokes and Riddles? High profile stories that I question if it was a teue depiction of The Riddler. Are you talking about in the comics(New 52) OR in Gotham tv show? Zero Year was freaking amazing! Thats the only reason I did not mention Riddler in my answer bc he had such a big arc devoted to the character. Zero Year was pretty great. Not my favorite early Batman story or my favorite Scott Snyder Batman story, but I really enjoyed it. Love me some Scott Snyder. War of Jokes and Riddles sucked. All tell, no show. Barely any real story. I don't like Tom King, except for one or two issues. Didn't like "I Am Gotham", "I Am Suicide", "I Am Bane", "Night of the Monster Men", or "Everybody Loves Ivy." Or the Wonder Woman / Batman story. I've liked the story where Selina and Bruce went to have a talk with Talia... that's been about it. I only read the proposal issue,#24. What issue was the Bruce/Talia dialogue? I have read every precrisis Ra's story and it seems one side, Talia has a crush on the older Bruce, who calls her a kid. Is it one sided post-crisis? I always found it odd that Talia was considered his second greatest love. War of Jokes and Riddles sucked. It's not the Riddler way...and it was all to make The Joker laugh? Thoughts on the poster example of a loser villain, Killer Moth? I like the Queen of Hearts. I don't know how many interpretations there have been of the character, but the one I'm familiar with is a mentally disturbed woman who collects human hearts and keeps them in a doll house. Pretty cool. I never heard of her and I know all of the obscure ones. It must be New 52. I dropped the title when the renumbering took hold. Sounds too grotesque like my least favorite rouge, Professor Pyg and not oddly cool by design or gimmick. She's a JL villain, not Gotham specific. Does sound look a cool gimmick though! Mad Hatter, White Rabbit, Tweedle Dee and Tweedle Dum, and now Queen of Hearts... That's a weird number of Wonderland villains. There is The Wonderland Gang that Mad Hatter formed in Detective Comics#841. I believe there have been a pair of smaller appearances such as seen being captured in Doomsday Clock#1,but I suggest that you check out the issue. Are all of those actual lego figures or just a cameo in this scene? I think they made most of them in Mini-fig Blind Bags. I collect both Batman villains and Spider-Man villains with the idea it is best chance to have a complete gallery in one form. Batman is missing less than a handful of lesser foes from having a complete set 15 years later. It has some surprising entries over the years. I suppose that Lego has a few obscure ones that even heroclix missed. I question why a couple of one-shot foes who I never would have heard of without the Bat Rogue label in heroclix were made,but aside from Rupert Thorne, Cavalier, Black Spider, and Cluemaster they are all there and then some. Here is a list based on what I have. Also, admittingly the "Associated with" is subjective. Have you ever read any of the Kite-Man appearances or just the reinvention of the character as a joke villain created by The Riddler to make The Joker laugh? I have read his first appearance, his second year later by Len Wein and his Gotham Knights appearance. Also, Kite-Man was killed off TWICE in a matter of months around the time of Infinite Crisis. Brown turned down Deathstroke's invitation so he sent him off the ledge of a building without his glider and then Bruno Maannheim cannibalized him in the 52 weekly series. Someone really hated the guy in 2006! Here are his appearances. Batman #133 (August 1960): "Crimes of the Kite-Man"
Batman #315 (September 1979): "Danger on the Wing"
Hawkman Vol. 2 #4 (November 1986): "For the Benefit of Mister Kite"
Justice League America #43 (October 1990): "If You Play Your Card Right..."
Young Justice #23 (September 2000): "Down Under Where"
Batman: Gotham Knights #33 (November 2002): "Tabula Rasa, Prologue: The Devil You Know..."
Young Justice #48 (October 2002): "Fighting Maad Part Two: D.O.A." Young Justice #50 (December 2002): "Fighting Maad Part Four: M.U.B.A.R." Batman vol.3 #28 (October 2017) "The War of Jokes and Riddles Part III"
Batman vol.3 #30 (November 2017) "The War of Jokes and Riddles Part Part V"
Batman vol.3 #31 (November 2017) "The War of Jokes and Riddles Part VI"